Casa Garden Restaurant and Sacramento City College Music Department have teamed up for our monthly Musical Mondays! Talented music students will perform during our lunch service on the fourth Monday of each month (3rd Monday in May). When you attend, you will be supporting both the Casa and the college. 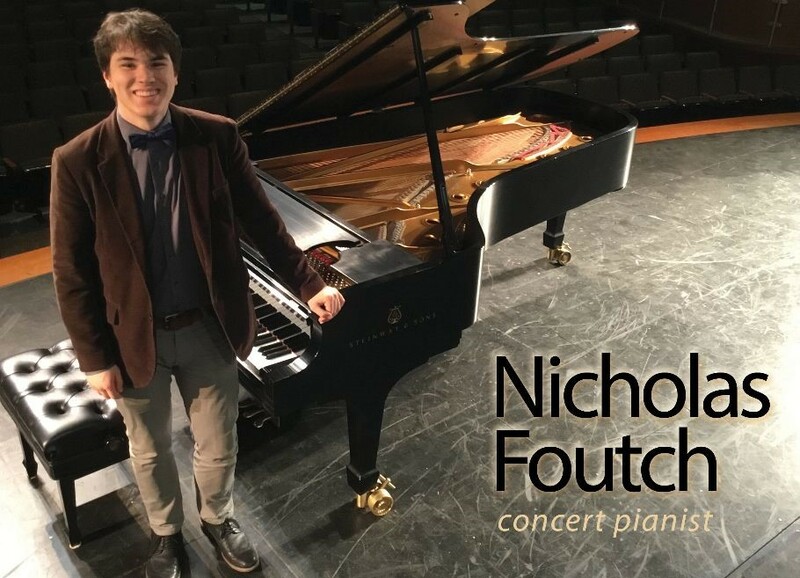 This month we will feature Nicholas Foutch, a gifted concert pianist. Come see and hear Nicholas on April 22nd during our first lunch service at 11:30 am. This is a pre-pay event. Your payment and lunch choice is required at the time of your reservation. Please secure your reservation by clicking our Event Registration button below, in-person with our administrative assistant in the restaurant, or by calling (916) 452-2809. Cancellations are accepted until ten full business days prior to the event (April 8, 2019). Casa Garden operates solely to benefit the Sacramento Children’s Home.